Stop Learning to Fish…Go Fishing now!! When we wrote the Grumpy Old Managers’ Guide (note the positioning of the apostrophe) several years ago, we said the best way to adjust and adapt to technology (Social Media in particular) and discover its potential in business was to use it for something you enjoy. Rather than treat the Computer as something you have to use at work to do Spreadsheets and answer email start to explore what it can do to improve your knowledge of things you enjoy – Wine, Gardening, Music etc etc. We suggested that kind of exploring will open you up to Blogging, Twitter, Facebook etc and give you some appreciation of their use in your business. 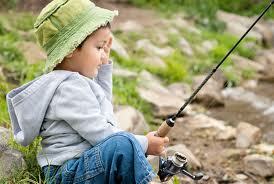 Continue reading Stop Learning to Fish…Go Fishing now!! Dont leave it to the “experts”! With 25 years experience in the IT industry and more recently using IT services to help my clients build their brands and business .. I am always concerned that IT tends to see budget and good as mutually exclusive. Recently I saw a response to a request in LinkedIn for an iPhone app developer that was asking if budget or good were the key criteria for selection. And when I see those words as options in one sentence generally get me on my soapbox. Too often it appears that IT people are prone to over quoting and under delivering. Having been part of the problem in the 80s and 90s I understand that it is the lack of clarity in definition and specification by the end user that often causes costs to be higher than they should. But I know also that ignorance by end users can lead to bliss for some providers who charge way too much and deliver way too little. Too often these days I come across clients who have spend many thousands on websites that deliver nothing. 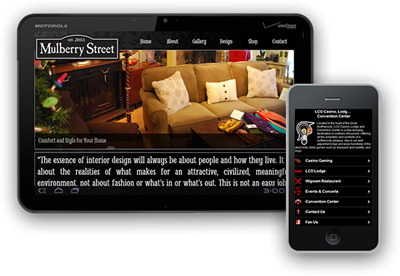 They have been designed and developed by Techos and / or Graphic artists around look and feel whilst ignoring the most important aspect – that it is the content – Call to Action, Stories, Testimonials etc. – that drives interest!! This has probably resulted from a lack of involvement by those that best understand the business and the clients and have left it to the “experts”. So my message is dont pay too much by making sure that you are clear in difining what your clients, prospects and stakeholders expect from your investment and not just leave it to the “experts”. I dont want to see IT viewed like lawyers and the like by charging too much because they know the rules and assume the clients’ ignorance. So before you call in the “experts” make sure you know what your expected outcomes are … or keep your money in your pocket. And that is one reason I have stuck with one provider for 10 years … he makes sure I get my outcomes right before he starts the meter running. This video sums up my point very well…. but if colouful language and esp the f… word and sexual references are likely to offend please don’t bother!! !